My friend bought a Benefit Smokin' Eyes Kit off Ebay and I was appalled to see what she received, unlinke me she is not makeup mad so didn't even think twice about buying from Ebay. 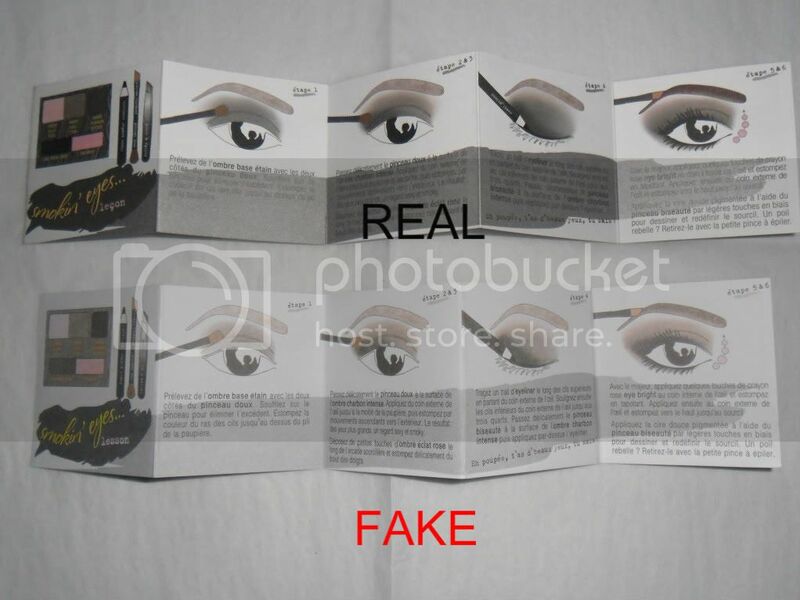 Fake Benefit products are all over Ebay as well as other brands such as MAC, it doesn't help buyers that when some sellers have 100% positive feedback but they are clearly selling fake products. Ebay say they have strict policies against fake products but sellers carefully word listings or just ignore these policies. 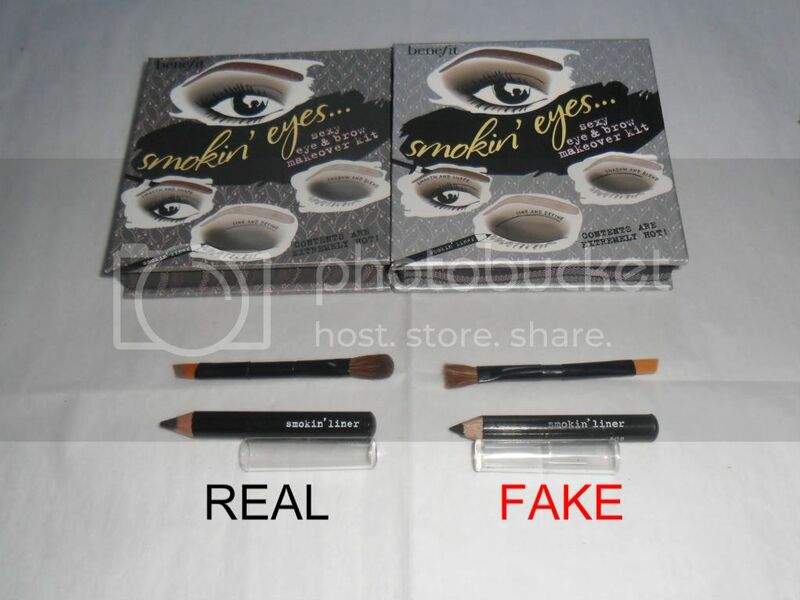 So I wanted to compare my genuine Benefit Smokin' Eyes to my friends fake, if you have nothing to compare the one you are buying too then people may not notice it is fake but when they are together the poorly made fakes stand out like a sore thumb! There are quite a few pictures as there is that many flaws! Ok, so they look very similar, you can see why some people would presume they are buying a genuine product, many sellers will photograph a genuine product then send you a fake. You can see the difference in colour on the outer packaging, the fake outer packaging is very close to the real thing apart from the colour. 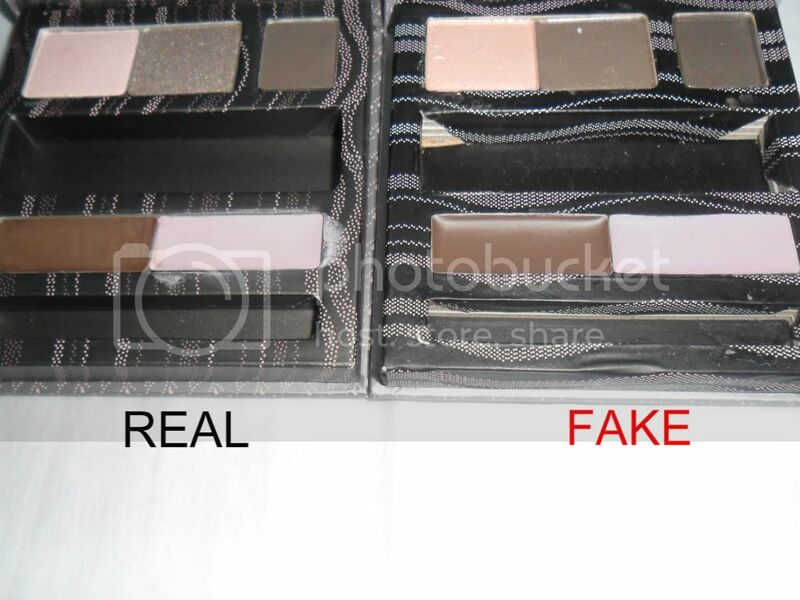 Look at the shadow end of the brush, you can see the quality of the fake looks terrible! This is the little tutorial booklet you get inside, the fake one is on cheap paper and the quality of print is very poor. If you look at the background of the palettes they have wavy dotted lines that should all wave vertically right down to the bottom of the palette, as you can see on the fake the bottom half of the palette the wavy dotted lines change direction to horizontal. Also the background of the real product is a charcoal grey where as the fake is almost black. Again in this picture of the outer edge the lines of the fake change direction, whereas the real continues in the same direction throughout. Also the real closes with a magnetic pull the fake doesn't have this. Notice on the fake the outer packaging has air bumps/creases in where they have quickly glued it on. Look at the section where the brush and liner are meant to sit, on the fake it isn't even covered properly and looks awful! Look at the difference in colours of the shadows, the fake are more matte where as the real things has a sparkle/shimmer to it. The Brow Wax and the Eye Bright in the fake looks almost plastic and shiny and generally cheap! Some people might be happy buying fake makeup but it can be extremely dangerous, @BenefitIRE tweeted the other day that they had tested a 'Benefit' mascara bought off Ebay and it had traces of PETROL in it!! PETROL!! I wouldn't want to be putting that anywhere near my eyes. My friend has contacted the seller who has offered a full refund, but the seller still insists it is a genuine product as she 'orders from America' this is a total lie. I just want to also say there are many genuine sellers on Ebay too, it's just a shame the majority will sell dangerous fake products for low prices and are happy to rip people off, if the price is to good to be true then don't buy it, always look for pictures of the actual item (not stock pictures) although like I mentioned earlier this may not help. Have you been suckered in by the low prices on Ebay? They all come up with some excuse don't they!! Gggrrr!! haha this is so bad! You would think they would make it look authentic! It's not that hard to even make it the right colour is it?! There are so many sellers that try and flog MAC, especially pigments. Most of the time you can tell by even the names that they are fake because they list pigment colours that are actually eyeshadows. But you're right, there are so many dodgy sellers out there who have 100% feedback. I have had emails from sellers that are quite aggressive trying to make sure you leave them positive feedback, and only then will they do the same in return. I've always ignored it, but I'm sure a lot of buyers do this because they're intimidated - despite crappy products. That's so scary about the petrol though! I can imagine there are people out there using this stuff thinking its fine. Great post by the way! Hope more people see this so they know to be more careful with what they buy off ebay. It's terrible isn't it Carrie!! 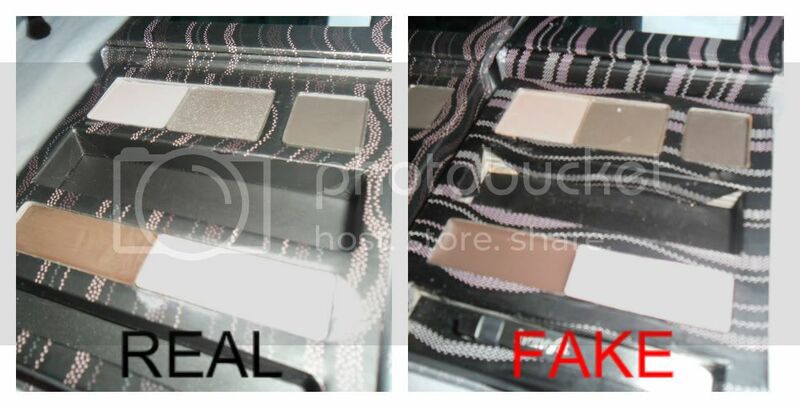 MAC and Benefit are the worst for fakes on Ebay. Some people who aren't beauty mad like us may not notice but when you compare the 2 it's so obvious! Some of the fakes on there are very realistic though, i bought a few when i wasnt so in the know about it all and compared to the real ones it's so difficult to tell that theyre fake. They certainly are Zoe, some are very similar! 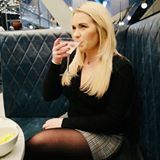 Great post, we need to be aware of this! I remember reading somewhere that there was coal used in cheaper fake products and all kinds of nasty chemicals! I never buy of ebay I just buy from trusted retailers now!very Well written post! Thankyou hun, some of them are so so convincing! I couldn't believe how poorly made these fakes are, I dread to think what's put into them. That mascara sounds awful, oily?! Yuk!! Oh wow that is so informative... thank you so much for this great post. I've been tempted by the Ebay "Benefit" make-up ALOTTT! But I would rather pay the full price and not get damn petrol in my eye! Great post! This will help alot of girls!! I hope so hun, I think I am going to make it a regular thing, if I buy a new product I will buy a fake and compare and also name and shame the sellers! This is a great post. 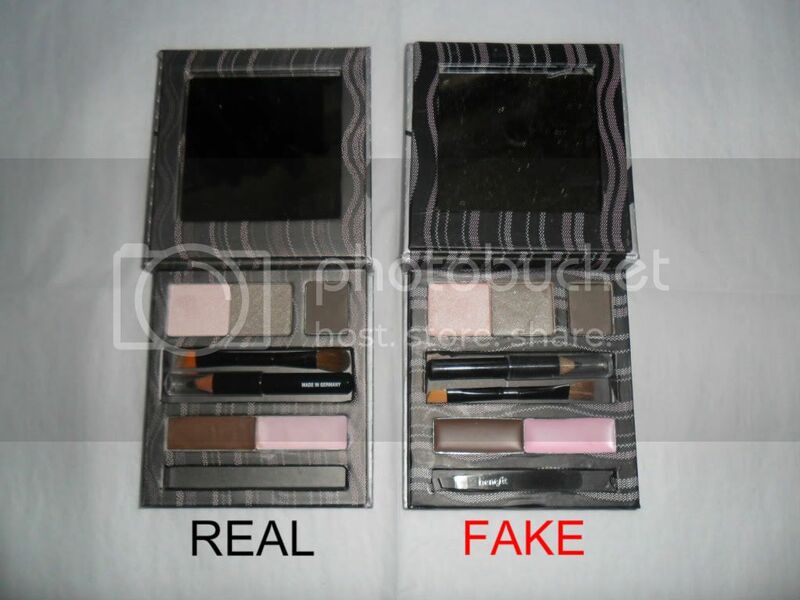 It's terrible that people think they can get away with ripping people off with fake products! It's awful isn't it hun and dangerous! Thank you for writing this post, it is so useful! 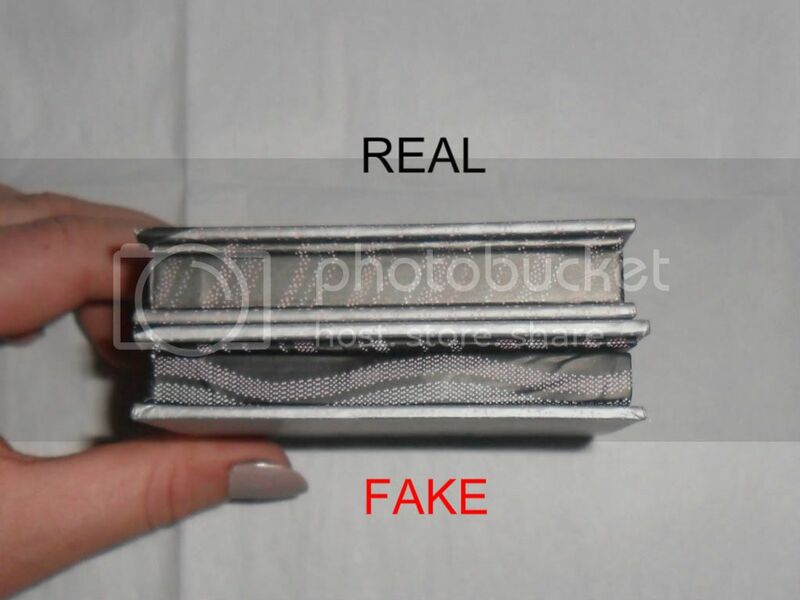 I almost bought a fake MAC lipstick on ebay, but fortunately noticed before paying that there was something strange about the picture and it turned out to be a fake. I refused to pay and cancelled the transaction and thankfully the seller didn't have anything to go by, so I got away with it. Unfortunately, when something looks too good to be true it usually is. That was lucky Chrissy, I don't know how people get away with it, I am sure Ebay really don't care aslong as they get their money gggrrr!! Great post! I bought a fake MAC eyeshadow on eBay, in the pic it looked real but when I received it I realised it was. A lot of fake MAC eyeshadows on eBay say they come with a mirror and eyeshadow applicator in the bottom, real ones don't so watch out for that. Fortunately I contacted the seller and they refunded my money! Great post!! Thanks for the advise!!! Pretty annoyed about this as I thought there were rules about misleading buyers,especially when I hear the products can in fact be dangerous! Thanks I just bought one of these and of course the seller insisted it was real but I used your evidence to prove him wrong. I can spot benefit fakes a mile away! However I sell benefit on ebay and i am 100% anti-fake I used to work for them years ago and would never dare sell fakes. please dont be afraid to buy from sellers with good feedback, read it usually if someone sells fakes it will say so somewhere in their feedback. My ebay store is called The Benefits of Real Cosmetics and my user name is 5150MARIE please feel safe buying benefit or any other item from me. AND remember you can always get your money back for fakes but make sure to leave negative feedback!!!! can we bring this back? are you planning on making more in the series? this was very useful and especially if you get the sellers removed from ebay/negative feedback then people will know to avoid them. i am just starting my love of all things beauty and nail related (and have recently started a blog for this) so help determining which products are real and which are fake would be fantastic! Wow I know I am abit late to reading this post seeing as you did in 2012 but this was so insightful and really helps people spot fakes. I recently bought my mum a cheap fashion fair foundation on ebay thinking it was an amazing deal but after a month the bottle has started turning black!